We have had a few days in the high 30Cs during the past month. More than usual for a Melbourne December, but my crops have survived and prospered. Even when air temperatures are moderate the sun is still intense at this time of year. Judicious use of shadecloth is needed on some plants, especially from midday until 4 or 5 pm. 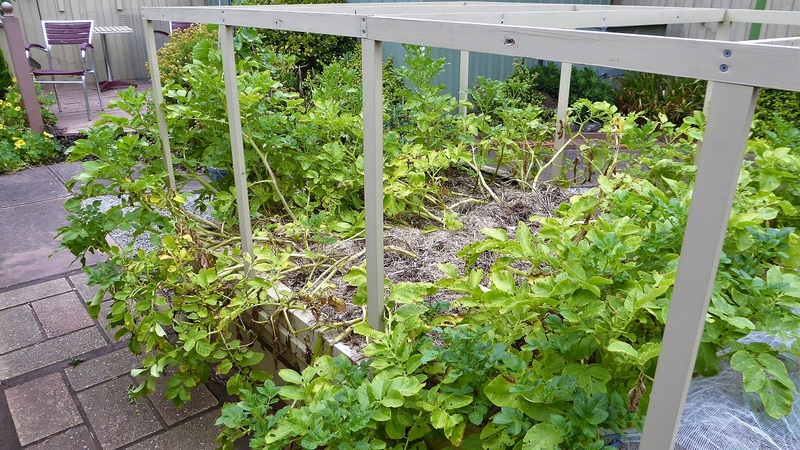 Young seedlings in the propagators are especially vulnerable and must be protected if they are to survive. 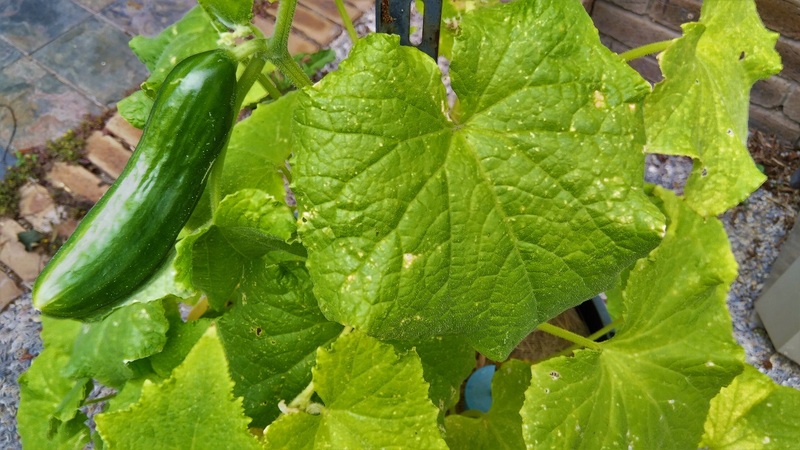 Sun loving vegetables like this Lebanese cucumber are starting to fruit. They are not as vigorous as usual this year, and I think I left the Ecobins dormant for too long through the winter. Their soil seems to be less biologically active than usual, and I will probably decommission them this Autumn. If I'm right, it reinforces my view that Ecobed soils must be kept actively growing crops all year round to maintain the microbiology (especially microbe predators like worms). 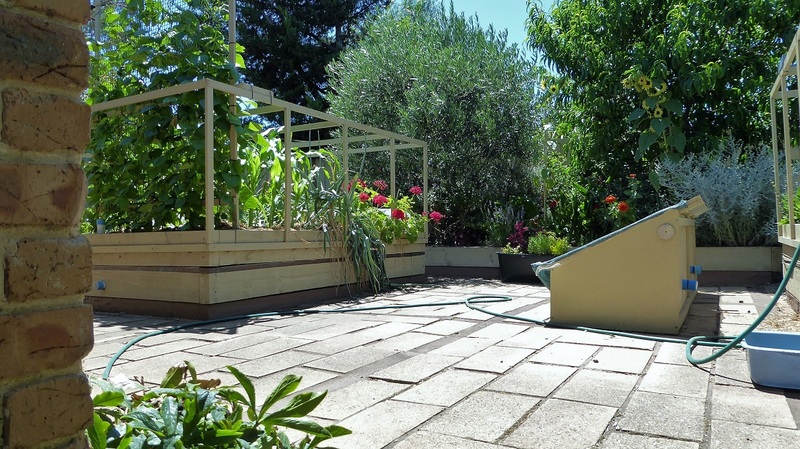 Meanwhile I will apply a weekly drench of aerated compost extract, and import a little worm filled compost from the propagators. 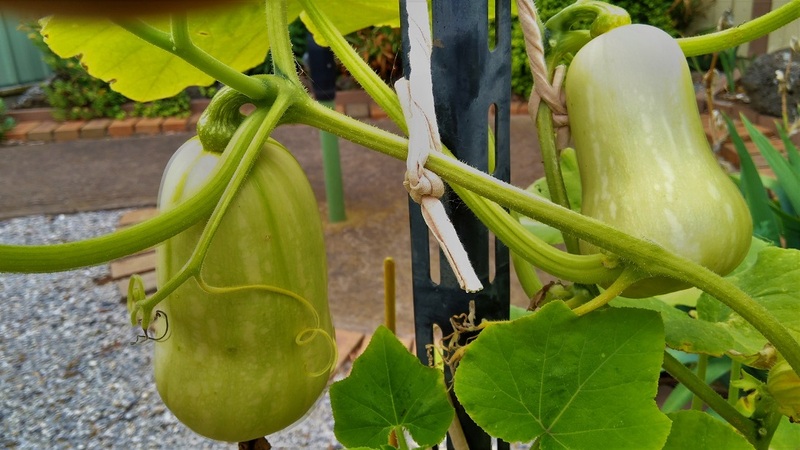 My butternut pumpkins are comfortable in the warmer weather. Some of the bunches on my grapevine are a bit bigger than ideal to produce good sized grapes. 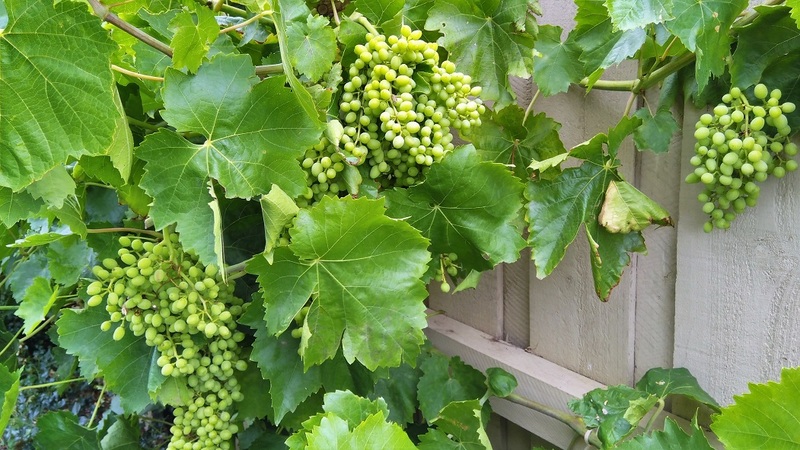 I should have reduced bunch sizes while they were very young, but I didn't and we will have to put up with lots of small grapes. I'm getting a bit forgetful in my old age. 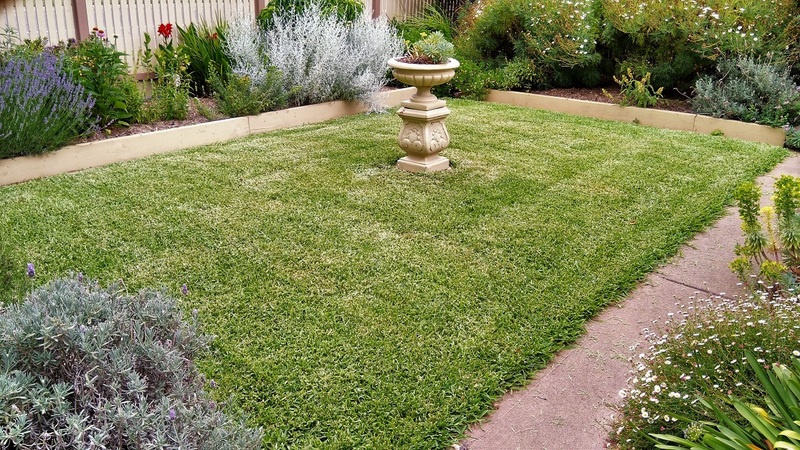 The lawn has just been mowed and is looking a bit ragged around the edges. Its getting to be a bit of a chore to mow it evenly because its so thick, and my battery powered mower struggles at times. Its like a bad haircut though, after a few days it will look good as new, especially after I get busy with the edge trimmer. 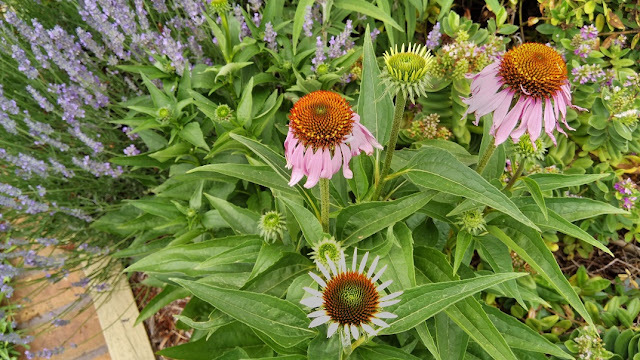 I have to say its taken a couple of seasons for the purple coneflowers to get established, but they are starting to look good now. 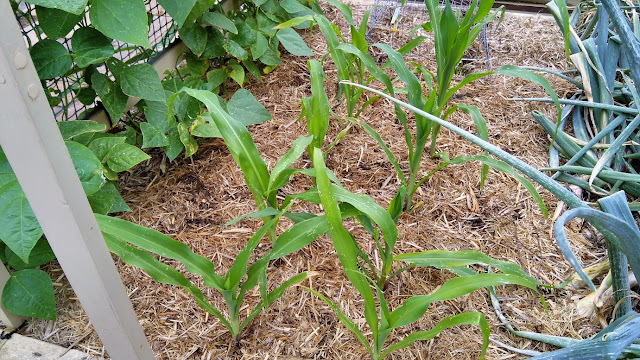 When sweetcorn are planted close together, pollen is transferred from one plant (male flower at the top of the plant) to its neighbour's female receptors lower down the plant (the tassels coming out of the top of each immature cob). The wind carries the pollen from plant to plant, but the process is much more effective if the corn is planted close together in a group. I grow a lot of the food my wife and I consume, and with the help of preserves, we eat fruit and vegetables from our garden almost every day. 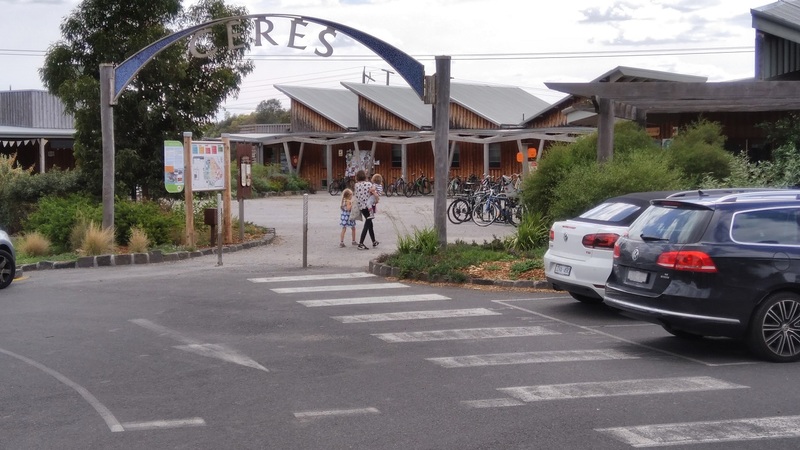 To supplement our diet of largely organic food, I visit CERES every second Wednesday to buy eggs and milk as well as seasonal fruit and vegetables we don't have. Ceres is in Brunswick East, a Melbourne suburb, and is a community based organisation providing education to schools and other groups in organic gardening practices. 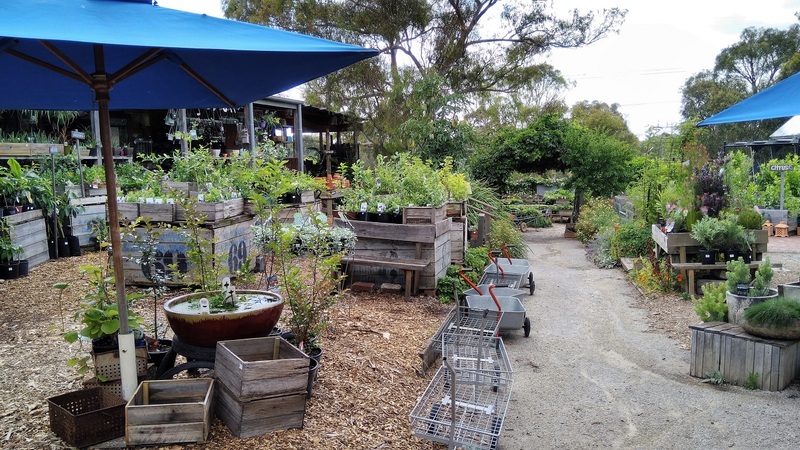 They sell organic vegetable seedlings, fruit trees and bushes through this well stocked shop. Their rather quaint greengrocer store includes an outdoor coffee shop, where young mums can bring their children to absorb a charming and friendly atmosphere. Their produce is organic, and although much of it is fresh vegetables grown on their own farm, they also support Australian producers of organic foodstuffs including a wide range of grains, bread, milk, honey even meat products and confectionery. 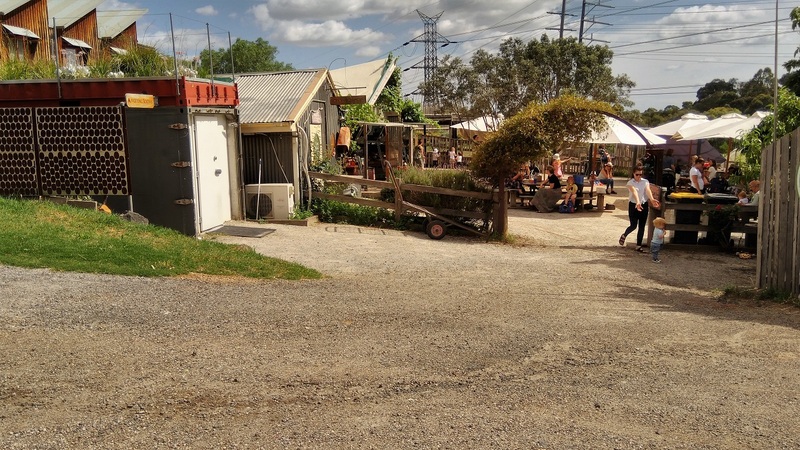 Its well worth a visit if you live in Melbourne. I don't usually resort to this level of protection unless the forecast is for 35C+ and windy. 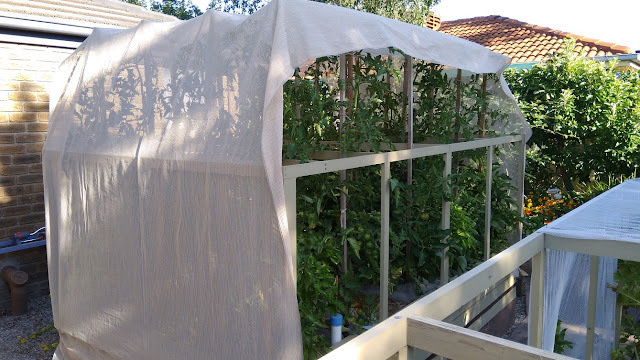 As soon as the extreme weather passes, I take the shadecloth down so the tomatoes can get as much sun as possible. 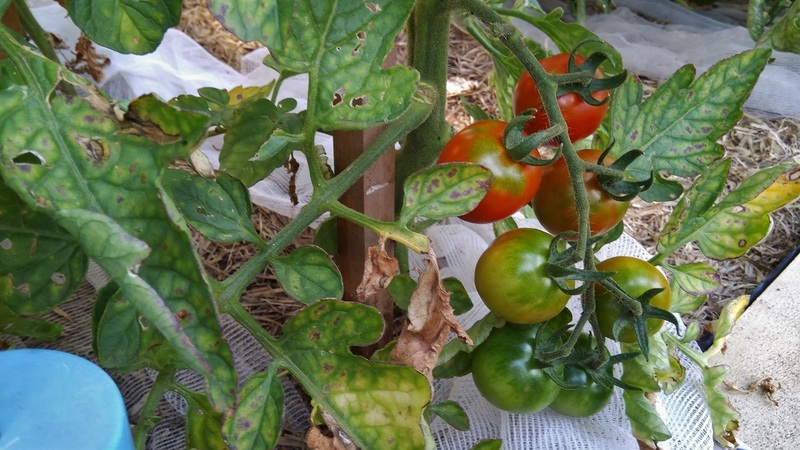 Tommy Toes are very reliable and among the best tasting tomatoes you can grow. They grow in large clusters of small cherry tomatoes and are open pollinated so you can collect and use your own seeds. Tomatoes are self pollinating so cross pollination is not a problem. Most of my apples were covered with small nylon mesh ankle socks when they were very small, like the one to the right hand side of the picture, . Some apples flowered and developed late, well after the main crop (like the 3 in the centre of the picture) and they weren't around when the apple socks were fitted. 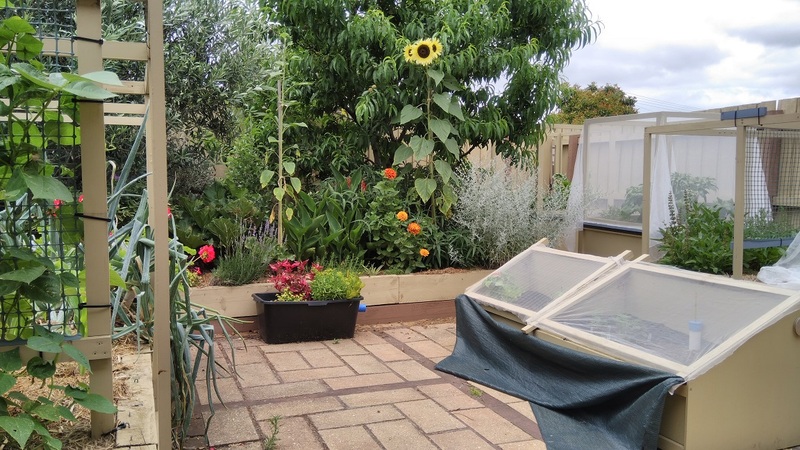 Fortunately the codling moth grubs have missed them too, at least until now, but I will need to get them covered soon if I want them to remain clean until harvest. 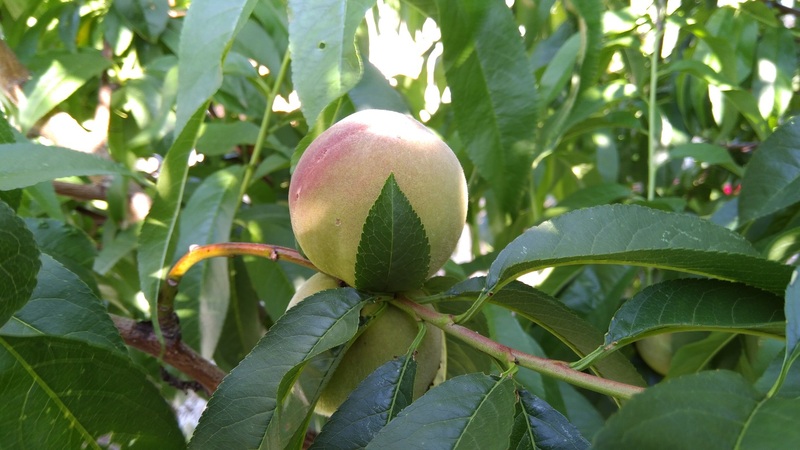 My peach tree has lush and abundant foliage despite a bad attack of leaf curl immediately after fruit set. It had reduced the numbers of peaches on the tree compared with recent years, but they are all looking very healthy now and I expect an acceptable harvest. What a mess, but the potatoes harvested so far have been beautiful and sweet. For some reason they are not maturing evenly this year, so I have been able to harvest quite a few early potatoes from fully mature plants as they have died back. 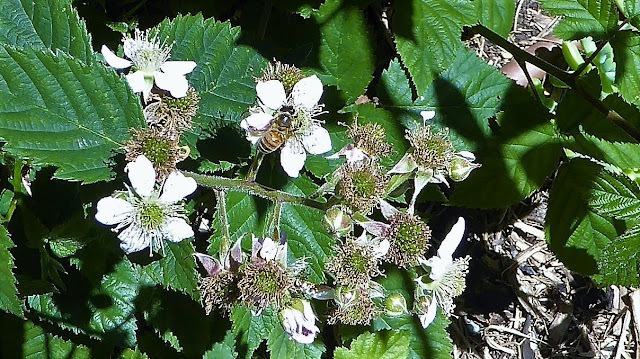 The bees have been busy pollinating my thornless hybrid blackberry plant. I managed to catch this one on the job. I managed to complete 10 batches of hot compost during 2017. I started the process in February, so I only dropped one (winter) month out of the 11 months since then totaling about 3000 litres of compost. Since I started using the insulated base on the composter to stop heat dispersing into the soil, I have been getting temperatures of 70C in the middle of the heap, which is a bit higher than I would like. 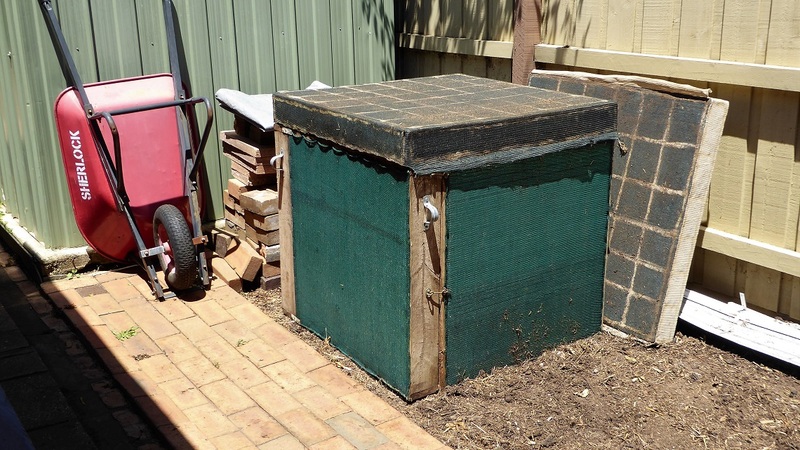 I may need to set aside the base when making compost in the warmer months to keep the temperature within the preferred range of 55C to 65C. 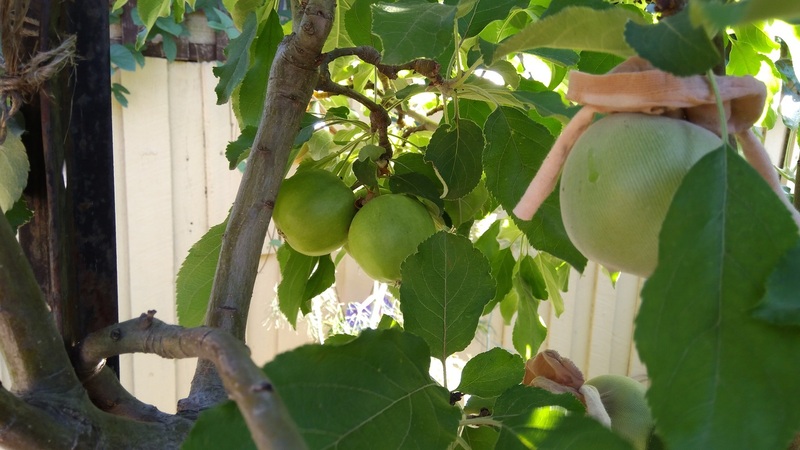 The erratic weather in late spring and early summer this season has had the effect of lessening fruit set on all my trees, and producing impressive vegetative growth. I will have my hands full summer pruning my trees this year.